PINE BELT (WDAM) - The First Alert Weather Team has designated Saturday as a First Alert Weather Day. The Storm Prediction Center has continued the Slight Risk for severe weather for the Pine Belt for Saturday and into early Sunday morning. That is a two-out-of-five on the one-to-five scale where five is the highest risk for severe weather. This setup isn’t as messy as the last round of severe weather and should be a bit better organized. The overall threat for severe weather may also increase in the coming day, so please stay tuned tot he forecast. Wind from the southeast will pick up during the day on Saturday, pooling warm and moist Gulf of Mexico air in the region. For the Pine Belt, it looks like there may be enough of a lid on the atmosphere to hold storms down until after 5 p.m. on Saturday night. As a cold front approaches it will open the door for showers and storms to start in the afternoon and evening and continue into the overnight hours. Once the front passes through early Sunday morning the threat should cease. The early data is suggesting a mainly heavy rain and wind event. With straight-line wind up to 75 mph possible and up to three inches of rain. Tornadoes will also be possible, too. But right now there is still some question about the storm-mode, and that will dictate the overall tornado threat for our area. One concern is that the atmosphere will be capable of supporting long-track and devastating tornadoes. Right now the question is will it be able to produce those types of tornadoes. Localized flooding may become a concern, too, as the line of storms may push through and leave lingering rain through the area during the day on Monday. 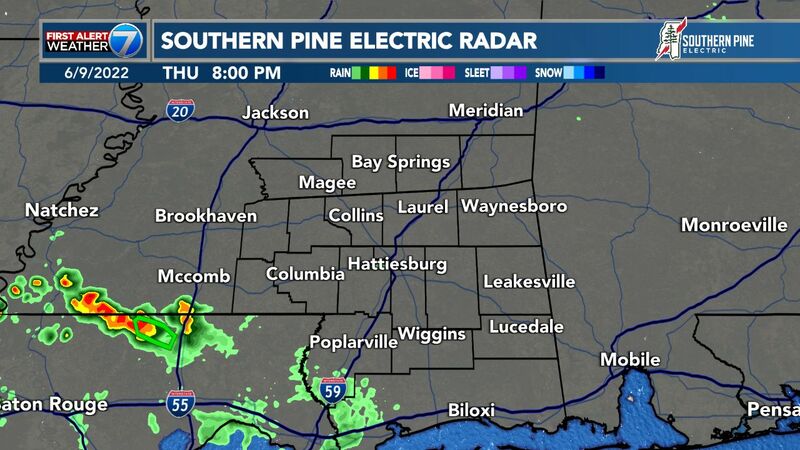 Storms may be hit and miss through the afternoon, but the threat for severe weather for the Pine belt will be between 6 p.m. Saturday night and 3 a.m. on Sunday morning. Like always, that timing will be refined in the coming days and may possibly shift, too. The main question is what kind of storms will develop with this storm system. If it is a big long line of storms moving through, the straight-line wind threat goes up. If it is a broken line, it will be a mix of straight-line wind and tornadoes. If it is lone, discrete cells, we may have to worry more about tornadoes and hail. The most likely scenario is for a line of storms only, but again, since this is an unknown, we are still monitoring the model data to get a better handle on what to expect. For more scientific information on this - and other - forecasts, you can get a complete scientific breakdown over on Nick's Blog. Have your NOAA Weather Radio programmed with fully-charged batteries available for it. If you must travel, make sure to check the weather conditions, watches, warnings and advisories before venturing out the door. Review your Severe Weather Plan and know what you would do if a severe storm or tornado was near you. 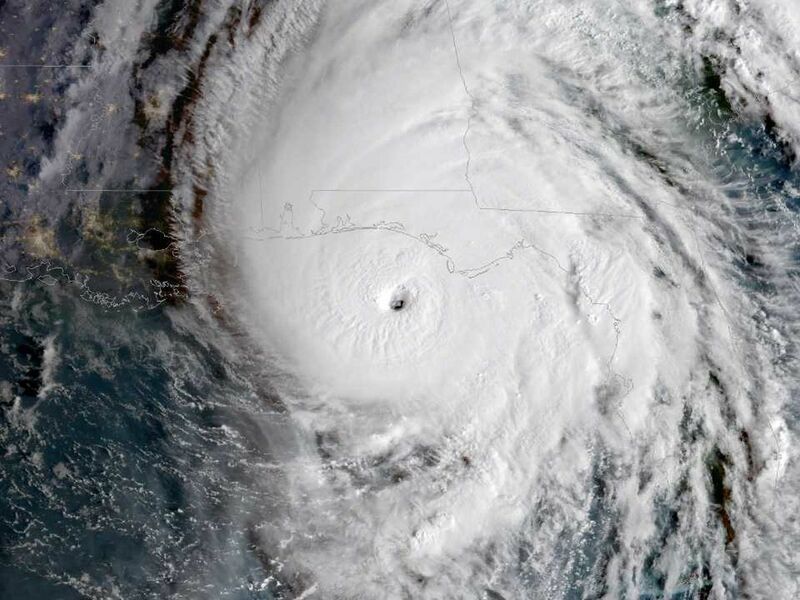 If you don't feel comfortable riding out a storm where you live, make a plan regarding when you would leave your home and where you would go. Also, download the WDAM Weather App so, if the power goes out, you still have access to live, streaming coverage of any updates about the weather. Take the same tools the WDAM First Alert Weather team uses with you anywhere you go. Download the WDAM First Alert Weather app today for real-time interactive radar, location-based severe weather alerts and a constantly updated forecast for wherever you are. Plan your day with an hour-by-hour forecast tailored for home, work or anywhere on-the-go. Our WDAM First Alert Weather app can tell you if a storm near you has hail, strong winds or rotation. The WDAM First Alert Weather App is free in the Android and Apple app stores, part of the WDAM First Alert commitment to help keep you safe. Apple users can download the app here. Android users can download the app here. 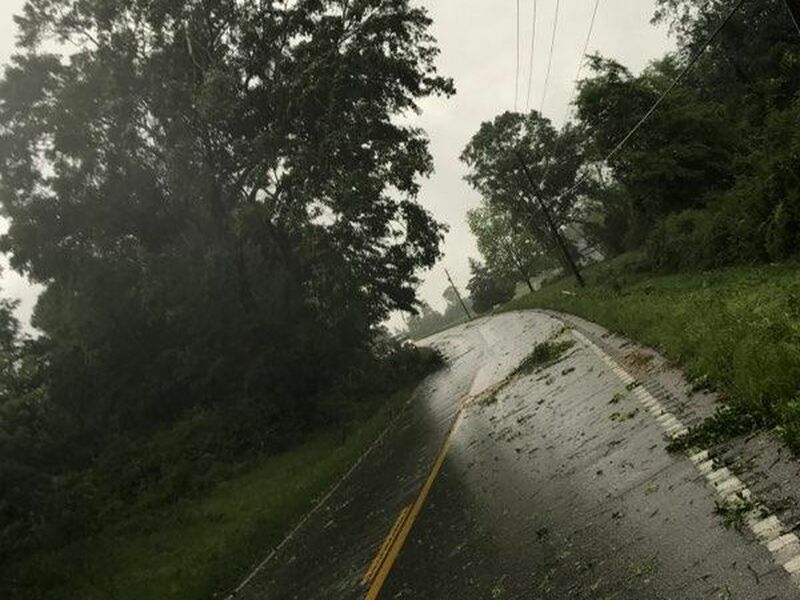 If your home or community is damaged in the storms, contact your county’s Emergency Management Agency here. 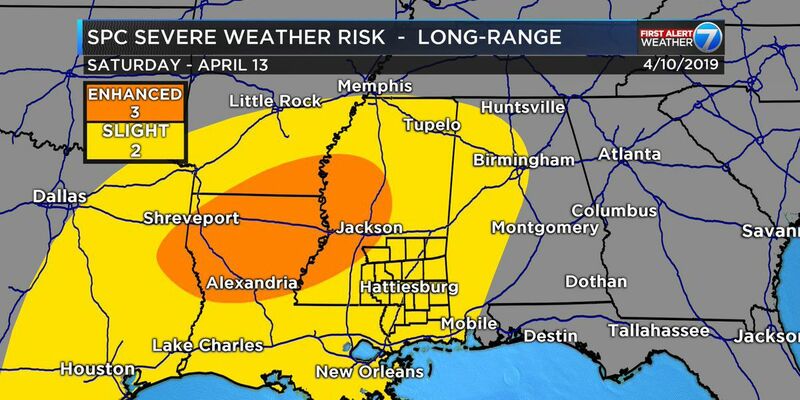 Continue following WDAM for the latest weather updates.